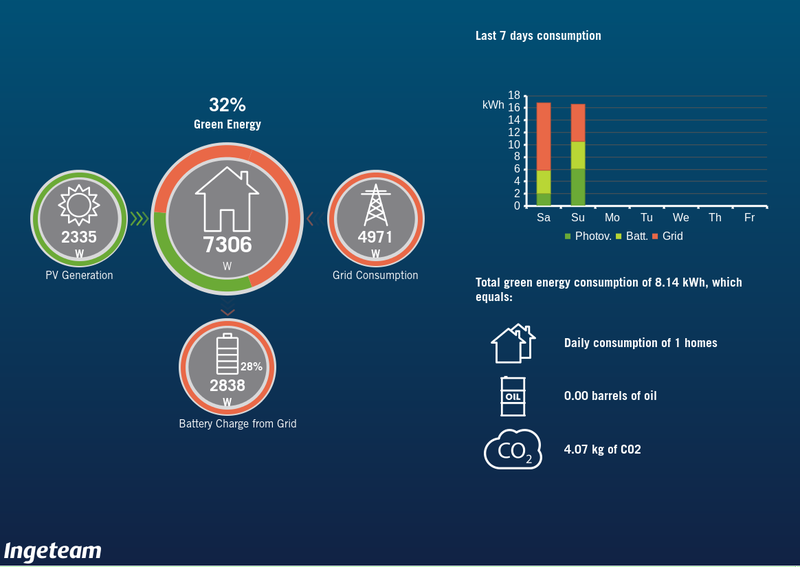 So now I have a correctly functioning solar electricity system, and it seems to be doing its job quite well. All I need to do is tweak it a bit. One thing's clear: the web display provided by the inverter is Just Plain Broken. And there are no useful statistics. 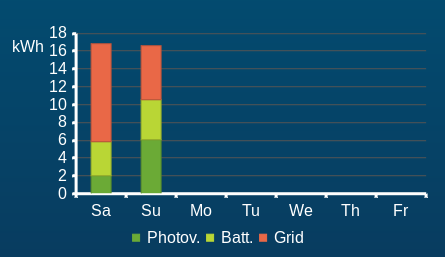 How much PV power did I generate today? 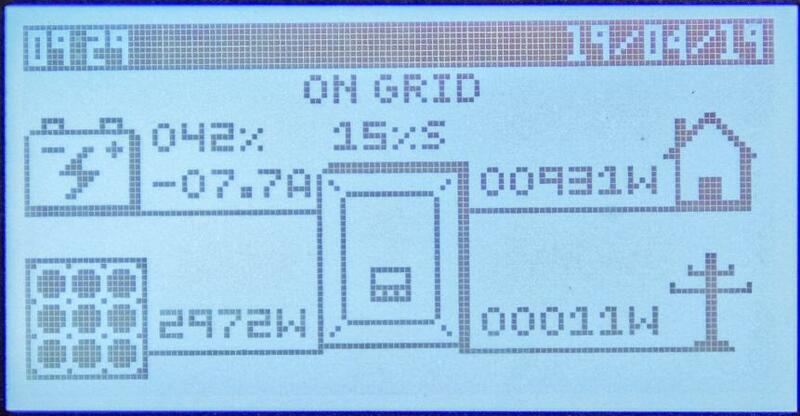 How much did I feed into the grid? How much did I take out of the grid? Nothing there, just meaningless comparisons to some arbitrary concepts. “Daily consumption of 1 home”. What kind of home? “0.00 barrels of oil”, saved by not drawing current from a coal-fired power plant. “4.07 kg of CO2 [sic]”. How was that calculated? 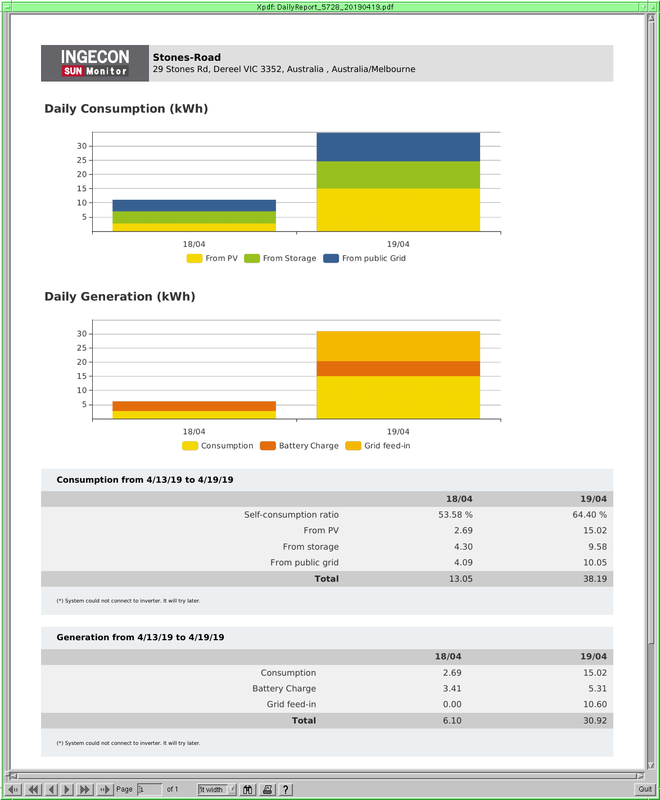 “Consumption 15.02” (we're too leet to specify units; everybody knows that we mean kWh). What does that mean? The other second explains: “From PV: 15.02”. So that's what we used directly? And then there's “Battery Charge” and “Grid Feed-in”. At first I thought that they matched “From storage” and “From public grid”, but no, I think the first are what we transferred from PV to these destinations, and the second is where the power came from that we used. But that's all still pretty much bare-bones. Potentially that's more useful. It's interesting to see the tooth-like pattern during the night where the battery alternately charges and discharges. And round 7:00 the big spike is turning on the air conditioner to warm the place up. The next one is presumably cooking breakfast. I need to analyse this stuff (and find a way to fix the broken text rendering), but it could give insights. About the only thing that's clear is that I didn't get the promised alarm that the system was off the grid. 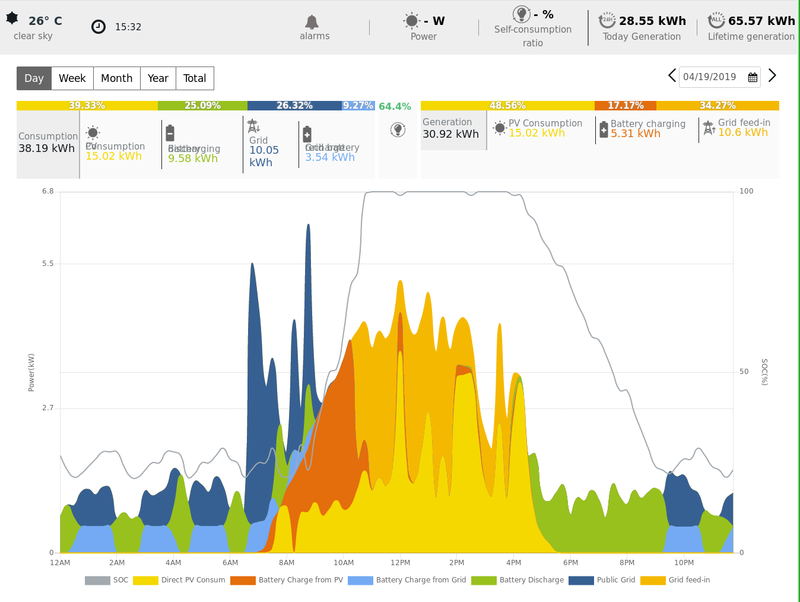 Still, what I'm seeing here is a total power generation round 31 kWh for today. 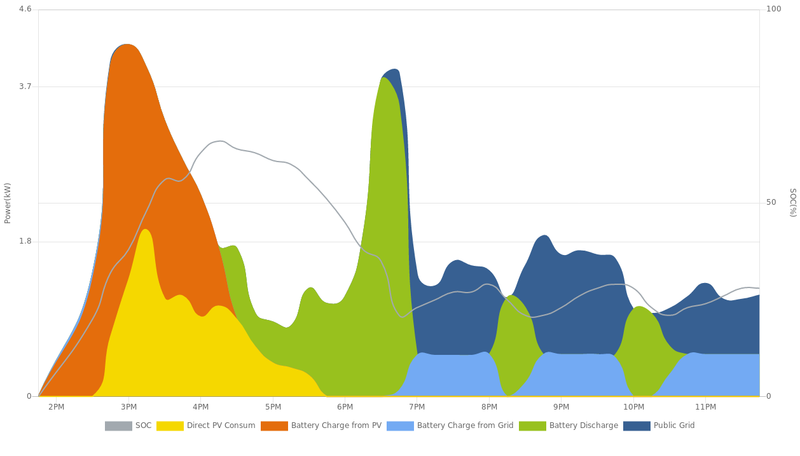 Given that we're in the winter semester, and that I had expected the equivalent of about 3.5 hours “sunshine” on average for the year (37.8 kWh) that's not too bad. But of course today was sunny; we'll need to factor in the cloudy days. Still, I want to tweak the system. Where's the configuration? It seems to be hidden where I can't get at it. I have a password for the inverter, but it doesn't seem to apply to the web interface. The documentation talks of a “password” (« contraseña ») 0332, which I would call a PIN. I need to tread carefully here; there's every possibility of locking myself out, and I don't want to do that. Yesterday's investigations brought me to two partial conclusions: the web application on the inverter has serious bugs, and I don't have access to the configuration menus. I could continue trying to break in, but it's probably a good idea not to do anything until the people come to inspect it. That should happen this coming week, but considering that Monday and Thursday are public holidays, I'm not betting on it. So what can I do? Clearly there's a lot of information going out of the inverter. How about firing up a wireshark and seeing what's going on? First stop all the web browser sessions and then start one and watch what happens. That's interesting, but it doesn't make much sense. Why is the StartDate the way it is? On 11 March 2019 I didn't even know about the Ingeteam offerings. And why is there no time? 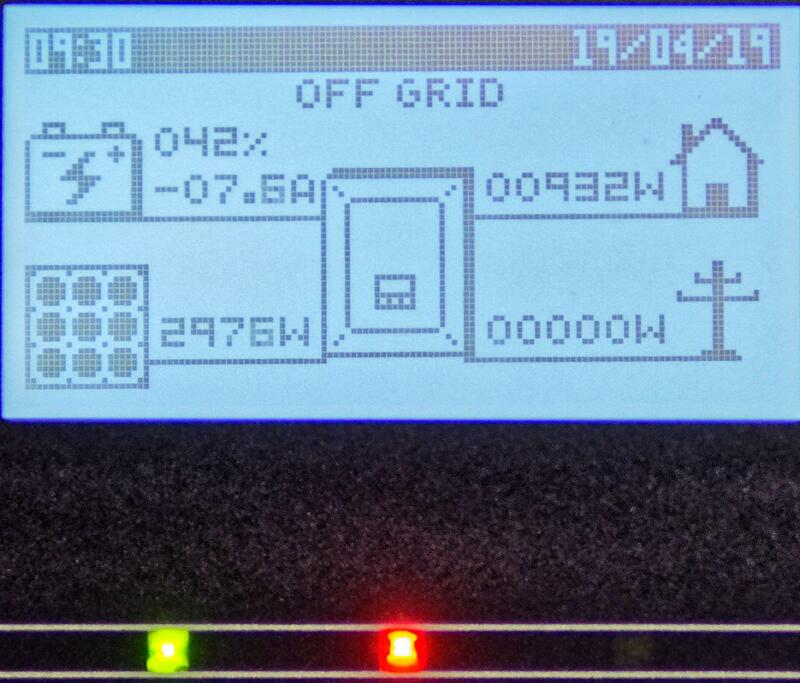 I've already established that the inverter has NTP and had it set correctly. And the other values? The identifiers don't make much sense. And it doesn't seem to be updated very often. At first I thought it might be a web cache thing, but that shouldn't happen for local sites, and adding the -n option to fetch didn't change anything. At least the date is correct (though in a different format from the summary record), so there's really no excuse for the broken bar chart. But it's still not clear what the numbers mean. More head-scratching needed.